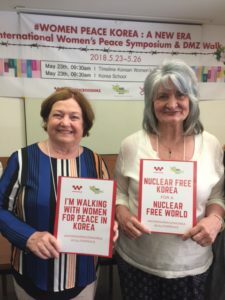 In light of today’s disappointing announcement that American President Donald Trump has cancelled next month’s Korean peace summit, it is more important than ever to lend your support and solidarity to Korean people and women’s movements. 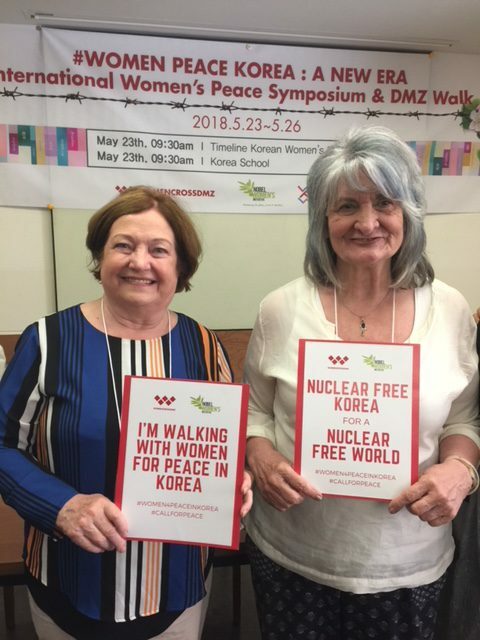 Join feminist activist, Gloria Steinem, and Nobel peace laureate Mairead Maguire, by sharing in the call for a lasting peaceful resolution that includes the voices of women in the process! TAKE ACTION by tweeting a picture of yourself with one of our posters and showing your support with the hashtag.